Building trust and relationship with your clients means adhering strongly to the real estate code of ethics. Commonly known as the NAR® code of ethics, named after the guidelines established by the National Association of REALTORS®, the code is more than just a set of rules but a tool that helps professionalize real estate and grow public trust in real estate agents. Occasionally, there will be times when a client has a significant ethical dispute with a real estate agent. This could happen to you or agents you work with. It’s important to know what to do in these situations to handle them quickly and as professionally as possible. Of course, only licensed REALTORS® are officially bound by the NAR® code of ethics, but being able to have a professional conversation about real estate ethics is important regardless of your affiliation. Do you know what to do when ethical complaints arise? Learn more about ethics in our sister site’s course Drama and the Code of Ethics. Hire a lawyer to pursue litigation. File the complaint with a real estate regulatory authority so disciplinary action will be taken against the real estate agent. Use the NAR dispute resolution methods. Any of the above parties can have complaints that are strictly ethical in nature or are a request for arbitration. An official ethical violation involves an offense against the Board and its members generally, as distinguished from an arbitration hearing which involves a dispute between individual members, arising from some common transaction. Letters of warning and reprimand. Fines of up to $15,000. Suspension or termination of MLS rights and privileges. Mandatory attendance in particular courses or seminars. Orders to cease or refrain from certain conduct. Expulsion from the association or membership. Requests for arbitration are separate from official ethical complaints. They are usually disputes between the parties providing real estate services. Usually, the heart of most arbitration complaints is in regard to fees. Often, the complaints are related to offers of cooperation within the Multiple Listing Service. One of the most common arbitrations that Boards or Associations may have to deal with involves the issue of procuring cause and the entitlement to fees from cooperating brokers. Dismiss the complaint if it does not meet appropriate criteria, must give notice to all parties and notify the parties of appeal rights. Refer the complaint to mediation. Refer the complaint to the Professional Standards Committee for arbitration. 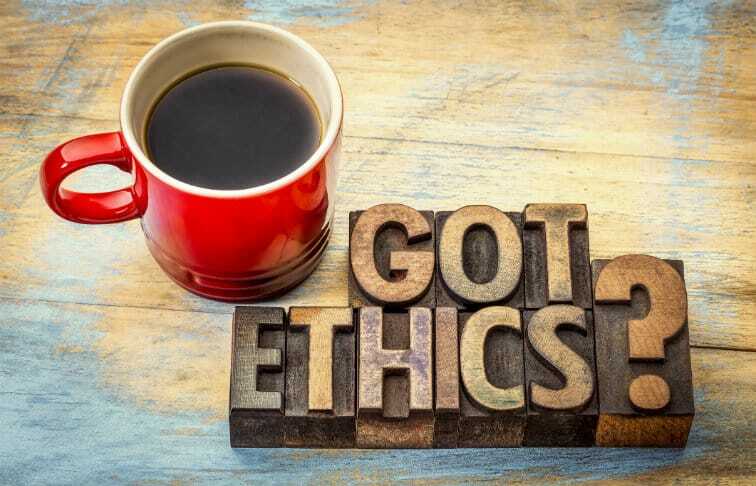 Whether you’re facing an ethical violation or have a complaint to raise against someone else, it’s important to know what the real estate code of ethics covers and how you can use it for your own protection and to uphold the integrity of the real estate profession. Grow your ethical knowledge! Enroll in our sister site’s course, Drama and the Code of Ethics, today. About the course author: Len Elder, JD, DREI, CDEI, is the author and developer of this course. During his career, Len has accumulated over 30,000 hours of live classroom presentations and teaching. He has excelled to the top of his field and is recognized nationally as an author, speaker, course developer, and a Distinguished Real Estate Instructor (DREI) by the National Real Estate Educators Association.